Cosmopolitanism is a topic of rapidly growing significance in social, cultural and philosophical study. Since its inception in 2009, the Centre for Cosmopolitan Studies (CCS) has been a venue for understanding cosmopolitanism as a range of theories and also of ideals diversely manifested in contemporary experience. Researchers attached to the Centre have explored cosmopolitanism and processes of cosmopolitanization at the level of individuals, institutions and cultures. 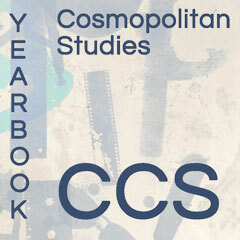 In launching the CCS Yearbook, the Centre is offering a platform for new research. We will publish annual sets of working papers, review essays and other kinds of experimental interventions. The editors of the Yearbook will also provide a peer review process towards the publishing of more extensive and developed work. Our aim is pluralist: to make available - as non-copyrighted open access - as full a spectrum as possible of current work on cosmopolitan ideas, worlds and people. You will be able to read the current issue or if you are registered as an author you can submit your research online.